I recorded this song a few weeks ago, i was also working on the vocals, but as you can hear there are no vocals cause i have been trying again and again but i always was not satisfy. It is why i decided to forget about singing one for all. I am not a singer. 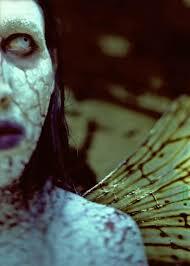 Marilyn Manson - In the shadow of the valley of the death. This is the acoustic version. If someone want to add the vocals (as a collaboration), and try to do something with this cover please send me message. I am working on some other covers from the same artist MM but this is for the next time. Please let me know what do you think about it, Thanks. 1:07 pm	- 4 comments - 4 Kudos - Report! Great job! I guess I should have read this before I commented on the song. of MY guitar? I could also help you get your vocals to a satisfactory level. I will have to find the song to hear the way he sings it, or maybe I will just get the lyrics and see what I come up with, without ever hearing it. I can give the guitar pro file to you, there are also the lyrics on it. Tell me how can i send it to you, mail ? msn ? The sound is really cool. When you gonna do more of them?